1. INFUSED SPIRITS – Our provincial governments are spurring on some of the biggest drink trends you will see in 2017. BC, for example, has released restrictions on infusing spirits and barrel aging cocktails. This means it is now legal to serve an oak-aged Old Fashioned to guests or infuse your favorite tequila with jalapeno to make a Margarita that is truly en fuego. 2. RESORT COCKTAILS – We are going to see a number of cocktails come back into vogue that have been cast aside as “resort cocktails.” Drinks like mojitos and pina coladas will be welcomed back with open arms for one very simple reason, they are delicious. There is also a kitschy-ness that people relate to and that brings back good memories. 3. CRAFT LAGERS – Craft breweries are continuing to take hold in the Canadian market and there is no sign of slowing down for their beers. Beyond some of their adventurous full-bodied brews, we are seeing many craft beer companies producing lagers for the everyday beer drinker who likes a refreshing, easy-drinking profile that gives them something to reach for during the big game or on a hot day. 4. CELEBRITY DRINKS – We can also expect to see more celebrity-endorsed liquor. It is impossible to open any lifestyle magazine these days and not see a cocktail recipe directly next to the latest fashion trend. Celebrities are taking note and want to position themselves alongside the current cocktail renaissance. Not all of them hit the right notes, but we are especially fond of Drake’s new Virginia Black Whiskey. This new spirit is more than just hype and we have been proud to launch the 6ix Manhattan made with Virginia Black to close off 2016. Look forward to more collaborations in 2017. 5. 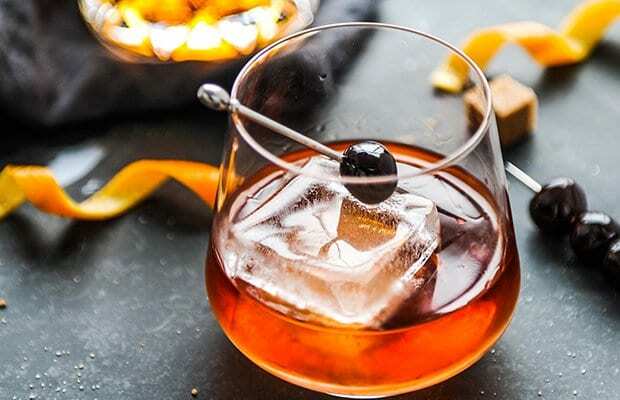 FRIENDLY NEIGHBOURHOOD BARTENDER – We have always thought this is fashionable but it looks like the rest of the world is trying to bring back the friendly bartender. Following the last decade’s cocktail renaissance, it is now standard to find quality cocktail programs at all reputable restaurants. According to this NBC.com article, the mustachioed judgmental bartender serving you a well-crafted Manhattan has been swapped for a bartender that prides themselves on service and a contagious demeanor. This bartender is well adept at whipping up the same expertly balanced Manhattan but is just as happy making you a vodka soda. While this may be a trend that is only slowly catching on, you’ll find your experience at Cactus to be well ahead of the curve.